Macquarie Natural Therapies - acupuncture for damaged tissue treatment. Acupuncture has been practiced in China and other Asian countries for thousands of years. It is the subject of continual scientific research and is used today in hospitals both worldwide and in Australia. Acupuncture is proven effective in the treatment of dozens of conditions, with studies ongoing into many others. It is a remarkably safe treatment and is largely free from adverse side effects. 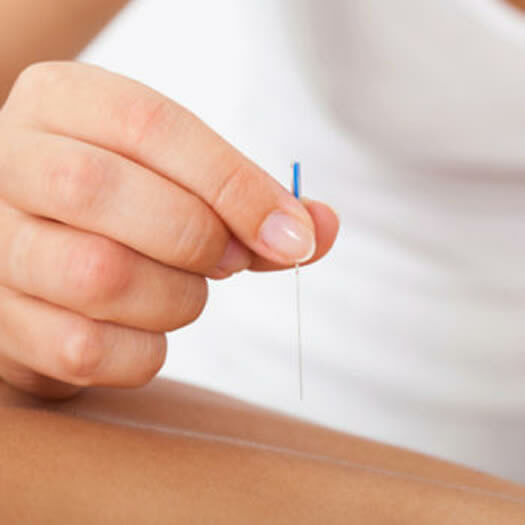 Basically, the acupuncture needle is a tool which allows precision targeting of strained or damaged tissue, thus encouraging it to heal and allowing normal function to return. Reduce skin tightness caused by swelling by enabling it to further stretch. Separate adhesions between muscle, tendon, skin and bone to renew coordinated movement with the tissues. Unlock knots as adroitly as using a lockpick, immediately relieving muscle spasm and tightness. Target inflammation by reducing pressure and increasing blood flow. Please give Mathew a call at the Center for more information on how this treatment could benefit you.